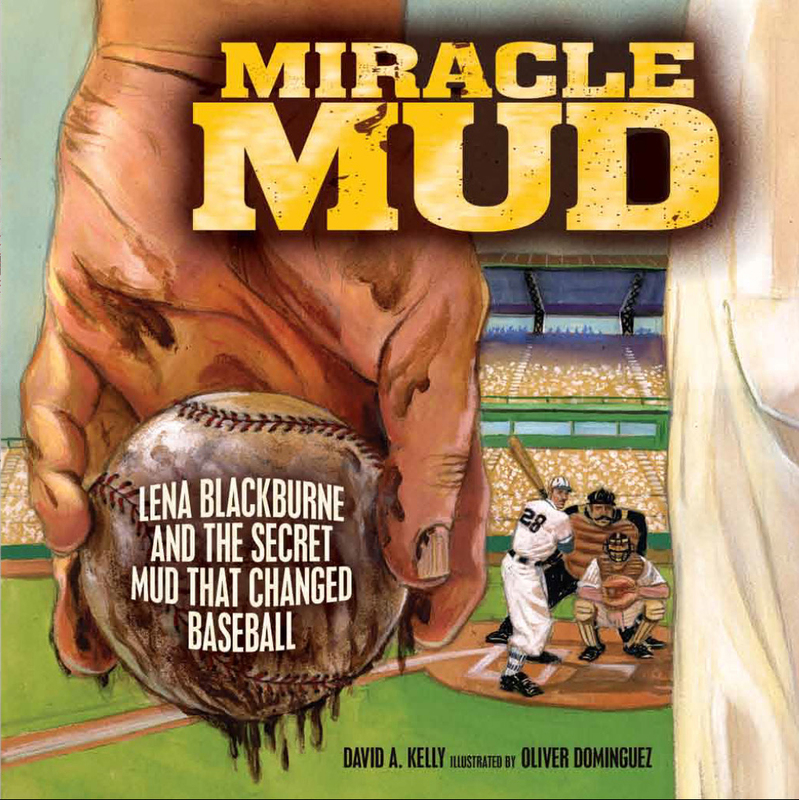 When my picture book Miracle Mud: Lena Blackburne and the Secret Mud that Changed Baseball came out, I never really imagined that teachers and literacy coaches might use the book and the famous mud to help teach reading and engage students. But that’s what’s happening! 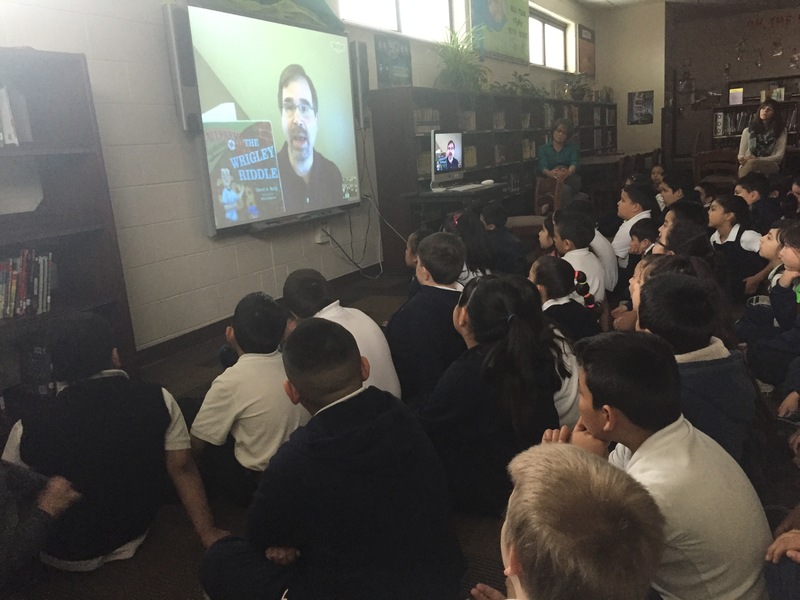 I recently did a series of Skype video author visits with a school outside Chicago that done a school read of Miracle Mud. I ended up talking with close to 600 students that had all read Miracle Mud! But what I found interesting from the visit was that the school didn’t just have the kids read the book, the innovative teachers and literacy coaches actually ordered some of Lena Blackburne’s Rubbing Mud and had the students use it! I loved the idea of extending and expanding the learning opportunities associated with Miracle Mud, so I reached out to Amy McCoy, Westdale School’s Literacy Coach, to learn a little bit more about how they used the book and the mud to create a unique learning opportunity for their students. Amy, can you tell me a little bit about your school? Westdale School is located in a suburb of Chicago, IL. We are approximately 5 miles from O’Hare Airport, one of the nation’s busiest airports. One unique thing about our school is that we are soundproofed because the airport traffic can be quite noisy! Whoo Hoo! That means we are spoiled with air conditioning in the warm months! Our school services approximately 600 children in grades K-5. About 50% percent of our students are English Learners. The most common languages spoken in our school are English and Spanish. What’s your role at the school? What’s your biggest challenge? / What’s the best part of your job? Teaching is a balancing act and so is my job. It’s difficult to split my time among all my commitments. I always want to do more with whatever I’m doing at a particular time. What was it about Miracle Mud that caught your attention? / Why was it interesting to you? I was interested in having all the students in our building read one book so they would develop a literacy connection. It’s not easy to find a book that can be loved by both a kindergarten student and a fifth grader. I read MANY books! Miracle Mud was displayed in our media center because it is part of the 2015 Monarch Award Master List. I read the book, and my search was over. It was perfect for an All School Read. The subject matter could be easily understood by the various age groups. The story was interesting to almost all young readers because it involved a real-life dilemma with a little mystery added in. (Exactly where is this mud found? Why does it work?) I knew the adults would also find the book interesting. Also, the illustrations are captivating. Elementary school students are amazed by the detail in each picture. I also knew we would be reading the book in the spring so it coincided with baseball season. This was an added bonus! Tell me about what you did with the Miracle Mud books. I believe you also purchased some actual mud. Can you tell me how you thought of that, where you got it, what you did with it, and how it worked? Once the book was chosen, I began to brainstorm ideas, activities, and ways to create curiosity and enthusiasm. The Internet was an amazing tool! I researched the book and the real Miracle Mud. I found a video from CNN that showed the Miracle Mud being harvested. I googled the man interviewed in the video and found the official Miracle Mud website. Having a large population of ELs, we try to use realia as much as possible. Our school purchased three small jars of the mud and one baseball for each class. Students were able to touch the mud and see the effects on a real baseball. Teachers reported that the baseballs felt different, less smooth. What’s mud got to do with it? I created resources for the teachers. The resources included pre-reading activities, comprehension questions based on the CCSS, and post-reading activities. I also suggested some cross-grade level activities. Teachers completed these on a voluntary basis. All I asked was that they read the book to their students. Our teachers try to connect learning among the various disciplines as much as possible. Luckily, our building specialists were happy to help out with this endeavor. Our PE teachers taught baseball vocabulary during PE classes. Our students now can sing “Taught Me Out to the Ballpark” thanks to our music teachers. You set up a Skype visit with me. Can you tell me about that? How many children participated and what value did they get from it? Since we were building a literacy connection across the school, every child attended the Skype session. Unfortunately, we didn’t have a location that supported 600 students in one spot, so we divided the students into three groups. I think this turned out for the best because the sessions were more intimate and could be geared toward the various age levels. Author David A. Kelly doing a Skype school visit. I believe the students learned many important lessons from the Skype sessions. These lessons include the following. Hard work, practice, and determination affect our lives in positive ways. You may not be good at doing something, but you can find other ways to enjoy it. Writing is a difficult process, but the rewards are worth it. An author works hard. Authors get help from others to make their work stronger. The revision process is difficult but necessary. Don’t give up even if you believe in something. Funding can always be a challenge for schools and libraries. How did you get the funding for the Skype visit and/or the books and mud? I am very fortunate to work in a school district that provides “mini-grants” for staff members who would like to complete some type of educational enrichment program.